Seven years have passed since the brutal murder that tore Moe Prager's family apart and it's been six years since Moe's brushed the dust off his PI license. But when his estranged daughter Sarah comes to him with a request he cannot refuse, Moe takes a deep breath and plunges back into the icy, opaque waters of secrets and lies. Sashi Bluntstone, an eleven-year-old art prodigy and daughter of Sarah's dearest childhood friend, has been abducted. Three weeks into the investigation, the cops have gotten nowhere and the parents have gotten desperate. Desperation, the door through which Moe Prager always enters, swings wide open. Just as in Sashi's paintings, there's much more to the case than one can see at a glance. With the help of an ex-football star, Moe stumbles around the fringes of the New York art scene, trying to get a handle on where the art stops and the commerce begins. Much to Moes surprise and disgust, he discovers that Sashi is, on the one hand, revered as a cash cow and, on the other, reviled as a fraud and a joke. Suspects abound beyond the usual predators and pedophiles, for it is those closest to Sashi in life who have the most to gain from her death. Cruel ironies lurk around every corner, beneath every painting, and behind every door. Almost nothing is what it seems. 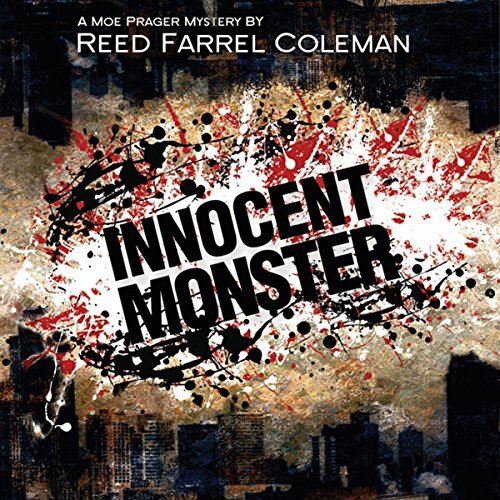 Reed Farrel Coleman's mysteries starring Moe Prager have won or been nominated for many of the crime fiction world's biggest awards, including the Edgar, the Shamus, the Barry, and the Anthony. The Moe Prager mysteries were named as part of Maureen Corrigan's Best Books of 2009. Where does Innocent Monster rank among all the audiobooks you’ve listened to so far? Moe himself is a lovable winner--just the other side of his prime and wise in a way that follows 'wiseguy'. Generally, the increasing closeness between a man and the son of a lost friend. Much of the plot seemed contrived and targeted to skewed to puncture the fake artsy world. Almost all of those characters fell flat. Caploe is stronger when he creates real people and leaves satiric cartooning to others. Why would a book about a Jewish cop be filled with defilement of the name of Jesus Christ? So much so that it was intolerable to read. I want my money back and will never again purchase a Reed Farrel Coleman work.